2020 Grayson Moore has impressed coaches and scouts every time he takes the field. Grayson is a very toolsy player that has a very athletic frame which passes the eye test for any scout. He attends Lake Mary High School and is verbally committed to UCF. He is one of those players that just gets it. It is about the team for Grayson. He protects other hitters in the lineup and has a knack for coming up with big time RBIs when his team needs it most. 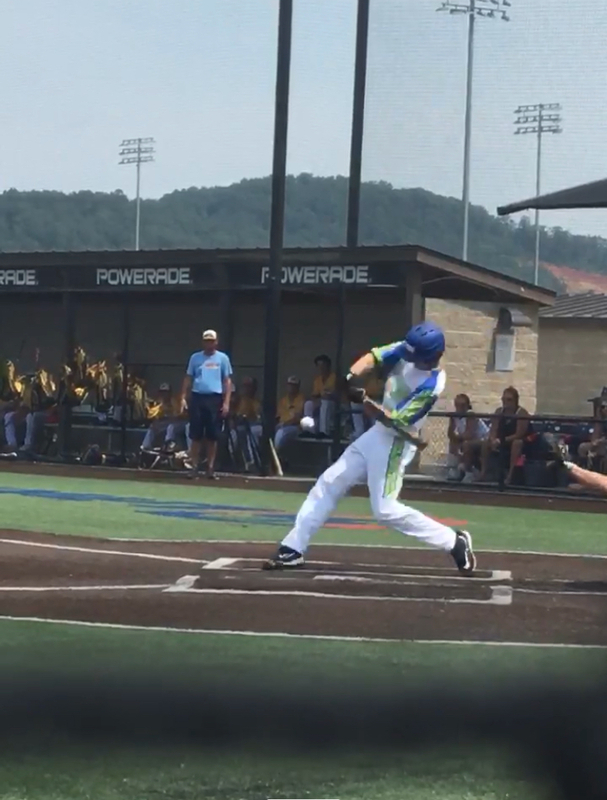 In 45 Perfect Game ABs this summer he is hitting .378 with 15 singles, 2 triples and 8 RBIs. He also has an elite arm that gives his team a lot of confidence when he takes the mound. Here are some of his scout notes from his outing in the 16u Perfect Game World Series. We are excited to see Grayson continue to grow and continue to turn heads on both offense and defense. The sky is the limit with this young man. Proud that he is part of FTB as he is a big contributor of our continued success.